I’m currently running on less than six hours of sleep. I conveniently leave the details of getting up on time to dress, eat, and get to the airport on time to my future self. And so, future me (now present me) got up at 4 A.M. this morning (ok… past me) and groggily decided to shoot a video before leaving. The tiredness brought some inspiration in between the yawns. You see, yesterday, I got a comment on the first video I made last year – the one that kicked off this entire YouTubing adventure (which, incidentally, is what got me up this morning – my flight was to VidCon). Short answer: The name is this website gives it away. My idea of a party involves either things that have to be done in daylight (going to the lake, grilling, etc) or things that involves game controllers. So I’m almost never far from my bed after the sun goes down. Here’s the main thing I want to mention, though; waking up early is my preference. In my opinion, it’s more important to have a consistent sleep schedule. What if you want both, though? 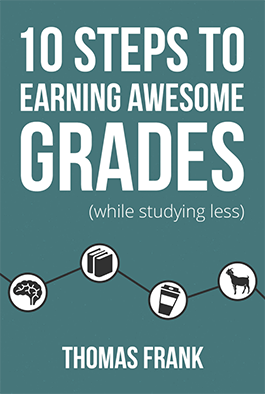 What if you want to have a consistent sleep schedule and reap the benefits of waking up early? More to the point – if you want these things, how do you reconcile them with staying up late on the weekends? Maybe you want to wake up consistently early during the week, but not have to do it on the weekends. Does that even work? In this video, we’ll talk about that. 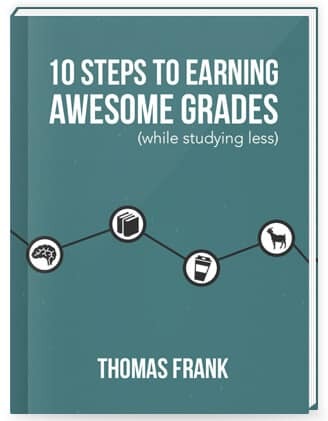 If you’re enjoying my videos, I think you’ll also really like my free 100+ page book called 10 Steps to Earning Awesome Grades (While Studying Less).